Showing results for tags 'Saiga'. WTS Converted Saiga 7.62 "Punisher"
Crossposted, first timestamp gets it. Please do not PM me here, email is best, see sig. Fits Vepr, Saiga, and Bulgarian. It is used and shows some signs of wear, but is in great condition. 26.5mm rings and has 1" inserts. (reduced) $100 shipped, USPS MO only. Item will ship same or next business day upon receipt of funds. In need of the long lost V-Plug that MD Arms put out awhile back, only plug my gun likes. Please if you have an extra or one you can part with let me know. WTS: Russian IzhMash 8 round Saiga-12 OEM mags. NEW condition. [both mags SOLD] For sale: Two OEM IzhMash 8 round magazines for non-magwell models of the Saiga-12. New condition, never used and looking great. These are the only mil spec, "high capacity" Saiga-12 mags. Very heavy duty and reliable. If you own a Saiga-12, you owe it to yourself to have at least one of these, especially if you ever use your S12 for home defense duty. No longer importable due to the sanctions. Important Note: I cannot and will not ship these magazines to California, Colorado, Connecticut, District of Columbia, Hawaii, Illinois, Maryland, Massachusetts, New Jersey or New York Price: [sOLD] $110 $100 (shipped) EACH or $210 $195 (shipped) for BOTH mags. Pics: To purchase, please post “I’ll take <item name>” here and PM me. 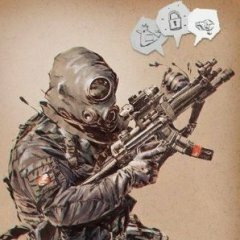 For both of ours security, let’s keep all communication to the private messaging system on this site. Continental US only, please. You can buy with confidence. I’ve been on this forum for a looong time, sold many items on the marketplace and always had great feedback. I generally communicate and ship very quickly, but I am currently extra busy with stuff and am giving myself 2 (two) business days to ship the items once the payment is received. Everything will be shipped via USPS and tracking will be provided. I pack this stuff very well. Payment: Discrete (nothing but your forum username in the comments) PayPal using the “Send money to friends and family” option. If you want to use the “Pay for Goods and Services” option, please add 4% to the price (to cover my fees). Thanks for looking and feel free to ask any questions! Hi, All I have a quick question on the Catamount fury 2 shotgun it says lead shot only on the receiver dose this mean it can only use lead shot shells and no other ammo like slugs? Thanks in advance! I am looking to buy a replacement factory FSB with thread shroud for my '14 iz-132. It needs to be a newer one that is pinned under the barrel and not dimpled into the barrel. If anyone has a spare one left over from a conversion that is looking to sell it please let me know! Thanks. Catamount Fury II will not cycle low brass at all!! Hi, all I purchased my catamount fury 2 in January of this year and have been shooting at least every weekend, For some reason the gun will not cycle any type of target loads I buy. I've tried everything from Federal Target loads, Remington gun club, and Fiocci loads and none of them will work. It cycles high brass shells perfectly ! I've shot at least 25 of 30 rounds of high brass buck shot through it I have tried loads that have been 1145 Velocity to 1355 and none of them work. Any help would be greatly appreciated ! THANK YOU!!!! video update of it in action. First time wife had ever heard it! 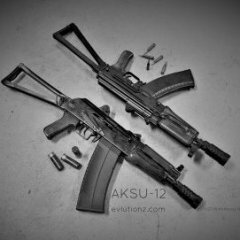 Which Saiga Should I Get Next and Why? JValentine posted a topic in General Discussion - Any topic is welcome here!!! Hey everyone, big fan of the forum and long time lurker. Of everything I've ever owned, my Saigas have always been my favorite. Currently have a 12 and 7.62x39. Was wondering what you guys think should be my next Saiga? and Why? Is there one that is a must have that I'm missing out on? Thanks so much !! Expanding on the TimberSmith popular Romanian AK-47 Stock Set, we are proud to offer this premium red stock set. TimberSmith has taken their standard set and added a precision fit recoil absorbing rubber buttpad, a checkered pattern pistol grip, and a lightening cut on the stock and handguard. Colored in the highly sought after Russian Red, on American Hardwood. Item Specifications: Length of Pull: 13.50" Designed to Fit on the Romanian AK-47 Rifle Variant 100% Crafted in the U.S.A. The Set Counts as 3 U.S. 922r Compliant Parts (Handguard, Buttstock, and Pistol Grip) Set Includes: - Premium Red Buttstock with Precision Fit Rubber Buttpad and Sling Swivel, and Tang Screws - Premium Red Upper and Lower Handguard with Pre-Drilled Cleaning Rod Hole - Premium Red Pistol Grip with Grip Screw, Washer and Bushing To top things off, all TimberSmith products are crafted in the U.S.A., making each set count as 3 U.S. 922r compliant parts. http://www.mississippiautoarms.com/timbersmith%C3%82%E2%84%A2-premium-red-laminate-romanian-ak47-stock-set-p-2479.html We also have complete saiga conversion kits available with this furniture! Holidays Cheers to all! End-of-the-year clearance: Saiga/AK, SIG55X, 1911 parts and accessories, and more of the good stuff CHEAP! Save big, get it in time for Big Holidays for yourself or someone special. 1st "I'll take it" gets it, judging by the time stamp. PM me or post your bids or inquiries in this thread. Sold items will be marked as "pending sale" upon placing the bid and "N/A" upon completion of the sale. Disclaimer: cross-posted on another Forum (not a Saiga/AK related) . Money Orders preferred (get it for free from your own bank; call them to confirm). PayPal accepted as desperate substitute for Money Orders or personal checks, even though not preferred; items will be labeled anything but firearms-related. Personal checks will be cleared prior to shipping. Shipping INCLUDED (standard USPS 1st class or media mail where applicable). Shipped next business day after funds clearing. Faster methods available, just pay the difference in shipping costs. Thanks for looking, Happy Holidays, Merry Christmas and Happy New Year! A, B, C: DVD videos, excellent condition. Played 2-4 times each. Was up to $39 new.$19$15 EACH shippedor$45$35 for all three SHIPPED. SOLD. D: .45ACP snap caps; set of 5. One used and scratched, but fully functional. 4 new or near-new. $10 shipped. SOLD. E: Used leather holster for 1911 (no rail); US (NC) made. Used with Kimber Compact. Mag pouch has 1 grommet missing (out of 4). Good, functional condition. $25 $19 shipped. F: HOGUE overmold grip for 1911 (Compact/Officer: 7 round mag capacity; won't fit the full-size). Very good condition. $12 $10 shipped. G: Tapco G2 Trigger (FCG) set, brand new. $20 shipped. SOLD. H: SIG556xi Pistol Grip with compartment and access hatch. Like new; excellent condition. $20 $15 shipped. SOLD. I: Magpul M-LOK QD sling mount and HW. Brand new; opened but not used. $16 shipped. J: ClipDraw "holsterless" clip for Compact/Officer 1911, very good shape. $13 shipped. K: Kimber premium rosewood grips for 1911 Compact/Officer (7-round mag). 1 Set of near-new, very good condition grips. Including another, "bonus" set of cherry (?) grips (1 has grip has hairline crack). $20 shipped L: BCM (Bravo Co) Gunfighter :Kinesthetic Angled Grip", Picatinny version. Brand new. Opened, but never been installed. $18 $13 shipped. M: TruGlo multicolor replacement fibers set. Brand new. $6 shipped (media mail). N: 8-in round base glass-filled polymer Picatinny rail. $5 shipped (media mail). O: Mercedes-Benz hood ornament assembly (W126 chassis?). Brand new in sealed factory package. $25 OBO shipped. P: OpsGear Operator Gloves, Black, Large. Spangex back/ synthetic leather front. Summer/off-season use. Brand new. $15 shipped. Q: SIG55X (556, 556xi, 556R and 550 variants) Match grade springs and tools kit from Honneycut/Scoroco-550 (German made). $49.95 new. $35 shipped (Disclaimer: will be cross-posted on SIG Forums). The ONLY kit available for US SIG55x owners; very rare and hard to get. R: GuideGear Electronic Shooting Muffs (Stereo Hearing Protection Headset). Used once; excellent shape. New Duracell batteries. $18 shipped. .. SIG556/556xi OEM single point bungee sling. Lightly used, very good condition (few scratches on the trigger snap buckle; webbing is spotless). $18 shipped. .. Tru-Spec jacket/liner in Coyote (Tan). Medium size. Brand new; excellent shape. $25 $18 shipped. HP ink for OfficeJet 6000-6500, etc: - 920XL Black (high capacity) - $12 shipped. - 920 Yellow (std capacity) - FREE with above. Kalashnikov Legal Shenanigans.. A Few Questions??? Grim Peeper posted a topic in General Discussion - Any topic is welcome here!!! A couple short questions, here goes. Will the import ban ever end resulting in return to old prices? I see there still available both 7.62 for $599 and 20g for around $700 are these left overs or is there a way they are still coming in? If they are leftovers will there ever be a loophole found where they can be imported through an intermediary? Where have you all found is to be the cheapest vendor where Saigas can be had? Also Im seeing a 7.62 with a heavier receiver and removable stock looks a little different then the one I bought in 2011 what the deal with this model?